Tucson Real Estate – The Benefits Of Buying Real Estate In And Around Tucson! There are many benefits to buying real estate in Tucson, Arizona, and with Arizona’s real estate market on an upswing, now is an exceptionally opportunistic time to buy Tucson real estate. Tucson offers many opportunities for adventure, and Tucson luxury residences offer an incredible combination of luxurious comfort and the ability to experience the wilderness and charm of the Arizona desert firsthand. Luxury homes in Tucson offer the highest levels of luxury and elegance. If a person is looking for residences that offer incredible amenities, the most luxurious living and the best golf clubs, luxury Tucson real estate is their best choice. When living in luxury homes in Tucson, many people have had excellent experiences at the resorts and the golf clubs. 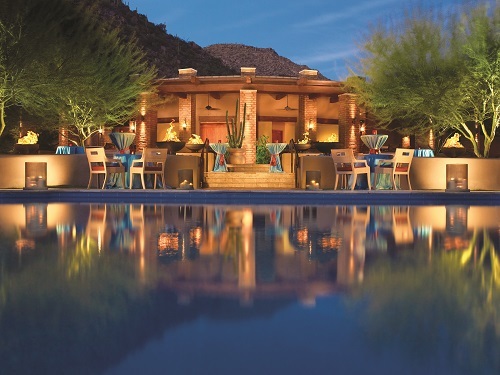 The resorts, hotels and spas in Tucson are some of the best in the entire country. When preparing to buy luxury Tucson homes, a person can customize their residence. Being able to customize a luxury home is a great experience, and it allows a person to add any extras and amenities that they would like to have. When customizing luxury Tucson homes at The Residences at The Ritz Carlton, Dove Mountain, a person can choose all of the details of their new residence. All of the details can be customized including the colors of the walls, the number of rooms, the size of the master bedroom, the number of beds and baths in the home, the size of the kitchen, the yard that surrounds the luxury home, the type of deck that the home has and much more. By customizing Tucson luxury residences, a person can basically build their own home that has been specially designed for them. Another benefit to buying Tucson real estate is the sunny and warm weather that Arizona has all year. Arizona is one of the warmest and sunniest states in the country, and when living in luxury homes in Tucson, a person will experience more sunshine throughout the year than they ever thought possible. When living in luxury homes in Tucson, a person has immediate access to many different activities. Tucson luxury residences provide an exceptional mix of desert wilderness and advanced luxury, and people can step outside of their Tucson luxury residences and experience all of the wonders that Tucson and the surrounding area have to offer. Many activities are readily available including hiking, biking, camping or even swimming. Many luxury Tucson homes have pools, and with the warm weather all year, it’s always a great time to go for a relaxing swim. Now is a great time to buy luxury Tucson real estate. Tucson real estate prices are currently low; however, Tucson real estate prices are definitely rising and the real estate market is improving significantly. By buying luxury Tucson real estate now, a person will get incredible deals on luxury Tucson homes, and their property will likely be worth much more in the near future. To enjoy all of the amenities and opportunities that Tucson has to offer, you might want to consider choosing from the wide variety of luxury customizable residences or estate homesites at The Residences.